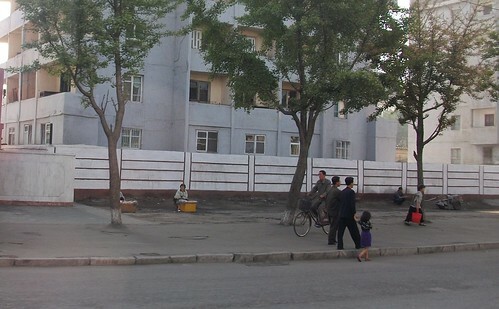 The Real Status of the North Korean Economy - Soviet-Empire.com U.S.S.R.
Another article sent to me by a fellow comrade, this time about the North's potential for substantial economic recovery, about the relative economic stability that already exists, and the potential roadblocks that prevent further advances. Importantly, the article is based on the assumption that the DPRK leadership as a rational actor, instead of the 'madman' narrative constantly presented in most media and much academic debate. Abstract: The DPRK is said to be an economist's nightmare. There are almost no reliable statistics available, making any analysis speculative at best. The few useable figures that we have, though, fly in the face of the media's curious insistence on a looming collapse. 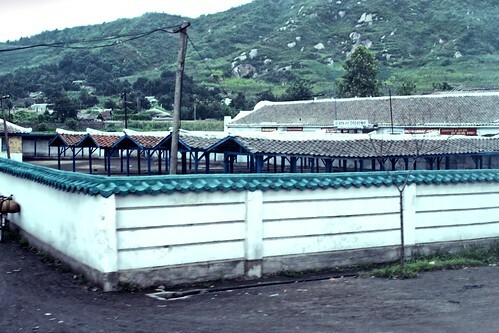 Food production and trade volumes indicate that the DPRK has largely recovered from the economic catastrophe of the 1990s. Indeed, Pyongyang's reported rising budget figures appear more plausible than Seoul's pessimistic politicized estimates. Obviously, sanctions, while damaging, have failed to nail the country down. There are signs that it is now beginning to open up and prepare to exploit its substantial mineral wealth. Could we soon be witnessing the rise of Asia's next economic tiger? Something I've been hoping for, which is apparently confirmed by this article, is the potential for increased DPRK-Russia trade, with rail and pipeline infrastructure improving Russia's position in East Asia, and the DPRK's position via access to Russian natural resources (which would return some of the potential for the dynamic growth the country had for most of the second half of the 20th century until the 1990s). There's no doubt that rational planning exists behind the facade of "WE WILL EAT YOU". 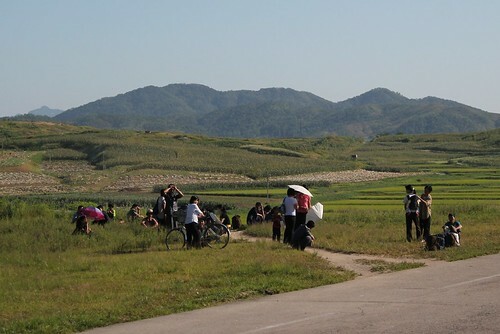 The question is, how much real economic incentive exists for the average DPRK citizen? "Volunteering" at bayonet point can only get a state so far. Likewise, the religious aspect of "Thank God-Kim for everything" can only motivate the people so far. Trade with Russia and China is the regime's obvious safety valve, but they are going to have to make concessions, not to the West, but to Putin and the Chinese in order to prove themselves stable enough to do real business with. From what i heard private trade and small scale manufacturing and other such gray activities are very much alive and well in the DPRK. Some Russian travelers ( who went there in 2004 ) in one of the threads recently bumped here said that Pyongyang reminded them of Moscow during Perestroika times. Not that the NK government has any problems with having special economic zones with S. Korean companies of course, given that North Korean workers there work for peanuts but at least get paid in hard cash, a good part of which goes to the NK state of course. From what I see the black market is moving forward full steam. I go annually and I have been watching the street sellers since 2008. Because I traveled the USSR in the old days and was making my way around on the black market, the study of the DPRK is fascinating. I did the same in the other bloc countries as well. This is a market. The stalls are rented from the state and previous to 2009 only women over 40 were allowed in. They do not run every day. I have been into the markets without a camera. Everything is for sale - nails, homemade paint, screws and most everything rusty and used. The corn and rice prices fluctuate by quality. In 2008 it was illegal but some activity was seen. It was rare but seen. Selling is scattered. Middle aged women can be seen here sitting in Nampo on boxes. This was the same as the USSR and you approached the woman and asked what they had. Watching these women in 2009 they would move around avoiding detection or paying the police off. Some towns had none but in cities you would see them standing in a doorway. It was illegal in 2009 but it began to be tolerated. It drove the guides crazy to attempt to photograph this. 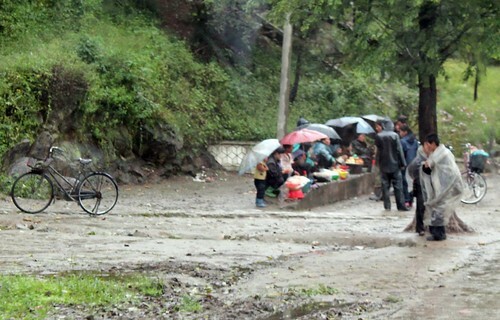 Roadside sellers begin to proliferate. The state kiosks begin to pop up but the middle aged women are out in force and for the first time men are seen selling. The guides do not want us photographing it. 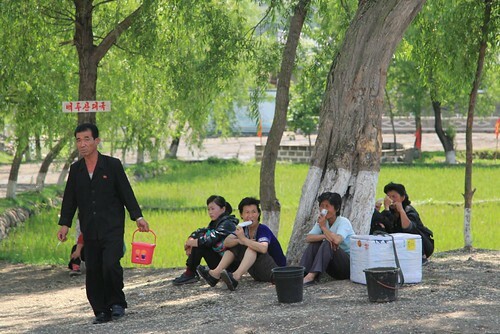 It was hard to avoid as near a metro station in Pyongyang a seller opens a bag in front of a group of giggling school girls. The latest Chinese clothes had arrived. I loved watching the sales. This market activity is near Anju and was unexpected. The clustering of vendors in areas began as the authorities tolerated these rogue markets. Sellers are everywhere and now even the tourists can buy from them, well if we ask the guides. Funny how things turned around. I was doing more deals as well. Previously the locals would not deal with foreigners but now even the foreigners can hold some Won. People are eating better. Before the markets were food but as I watch this grow I see food is moving aside and people are selling clothes and even ornamental things. Life is getting better for the average person and I see no evidence that the situation is going to go back. Word on the street is that Kim Jong-un wants this activity to grow and I have no reason not to think that they are freeing up the bottom of the economy. If they are letting an American into the markets well something is going on. I am heading in next week and I will report as I do more comparisons on the state of the economy. 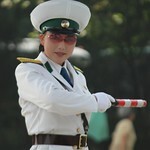 I do have over 6000 photos of the DPRK on Flickr.